The latest religious voice to emerge in US society is that of the pharmacist. A growing number of pharmacists across America are refusing to dispense birth control and the morning-after pill, because it goes against their religious and moral convictions. This development has led to state legislatures across the country taking action, either to protect women's rights to obtain birth control or to uphold the pharmacist's right to refuse it. The issue has become heated in several states, which already have laws allowing pharmacists to refuse to fill prescriptions for contraceptives, including birth control pills. In Arizona, the House of Representatives recently approved legislation that would put into place a conscience clause for pharmacists who have objections to handing out birth control. But in April, Illinois Governor Rod R Blogojevich filed a rule requiring Illinois pharmacies to dispense all such prescriptions immediately and without question. "More and more pharmacists do not want to hand over the birth control package and feel that it is within their rights to lecture women about their morals," said Judy Waxman of the National Women's Law Centre in Washington DC. "There are many incidences of pharmacists not giving back the prescription so that the women can fill it somewhere else." At a Brooks pharmacy in Laconia, New Hampshire, Suzanne Richards, a 21-year-old single mother with a 3-year-old son, was denied the morning after pill because of the pharmacist's religious convictions. He told Richards he would not fill her prescription because "it would end the fertilisation process of the egg in the embryo" and, based upon his religious beliefs, it was wrong. It was Saturday night in this rural town - all other pharmacies were closed, leaving Richards without an option. Richards says she felt "humiliated and traumatised", and was too frightened to approach another pharmacist the next day, allowing the 72-hour limit for taking the pill to pass. While it turns out that Richards was not pregnant, Waxman considers this a breach of professional responsibility. "The sad thing is that a very small and very loud minority is trying to thwart women from getting their basic health care needs," she said. 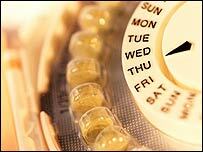 Pharmacist Pitt Philips from North Carolina defends the decision of pharmacists to refuse to dispense the morning-after pill. "While they have the right to obtain the prescription, as an individual I always have my own rights not to fill it." Supporters of pharmacists' rights, like Steven Aden of the Christian Legal Centre for Law and Religious freedom, believe that "in no case should a health care worker do something that violates their conscience". Phillips said: "In essence, I would be causing a chemical abortion, and as a Christian, I am impelled not to do anything that destroys life." The debate, between the women's right to birth control and the pharmacist's right to choose which prescriptions to fill, will only intensify further if the Food and Drug Administration approves the sale of the morning-after pill without a prescription. If this contentious decision is approved, it is likely to make pharmacists the primary dispenser, intensifying the dispute further.